how much did we pay to join this KETOGALSARA game? $25? $30? I forgot. Your game has now been finalized. Congratulations to the winners! You earned a 10.8% return on your money simply by investing in your own health. Don’t you wish all of your investments paid out at that rate of return? - Most Generous Liker: Melinda C.
- Most Liked Comment: "I'm on my 3rd day of eating healthy. I haven't eaten any sweets in the 3 days. That's a big step for me!! Also working on drinking a gallon of water every day! Already lost around 4 pounds ( probably water weight but still. Progress is progress!)" by Carolina M.
sandra i. , Nancy W. and Doriannsdiary like this comment. I’m used to a lot of 30$ dietbet game and this is the first time I win 3$. This is ridiculous to be honest. Help! 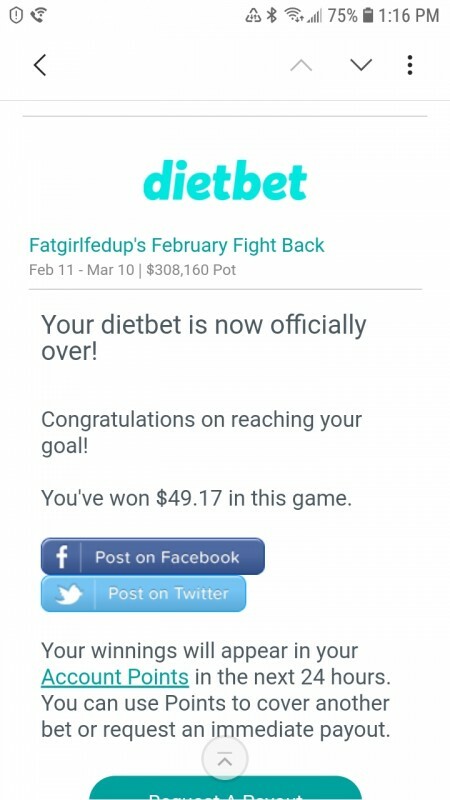 Why won't they let me use the same weight as another dietbet that closed the same time?? When do we find out how many people splits the pot? Butterbean and Brandy S. like this comment. I think they officially say 24-48 hours after weigh-in time ends which is midnight tonight. Click the link to join ???? Let’s do this. Elle R. , Melissa B. and 4 others like this photo. 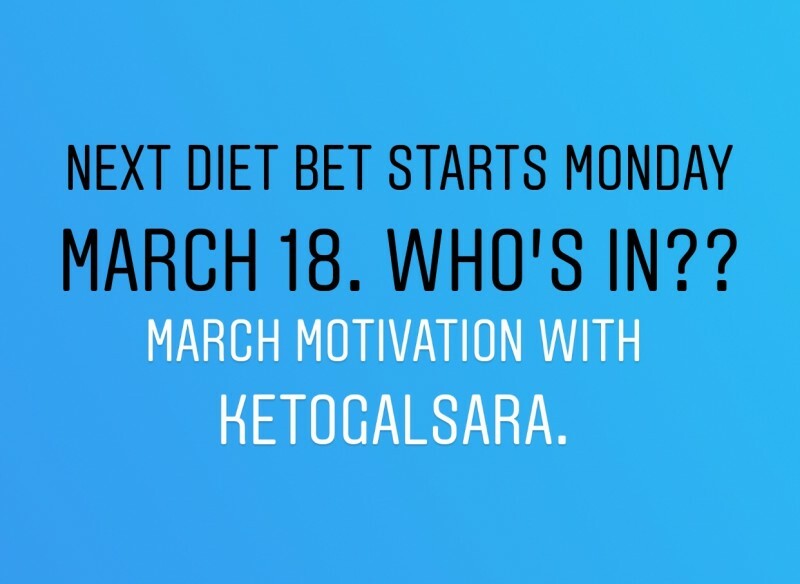 Next Diet Bet starts Monday! Who’s in?? Nancy W. and brianna c. like this comment. How did everyone do this round?? Lisa , BigGreenLee , Manduh and KetoGalSara like this comment. I barely made it! Waiting for confirmation now on my sketchy bathroom stall selfie checkin. I also had to use a makeup pencil to write my word on a paper towel. I'm away from home all day Tuesday and hadn't made weight yet yesterday or first thing this morning... But I was very close and determined so I brought my scale with me and checked throughout the day and had to get creative once I made it under! Weighted in at almost 2 lbs under my target weight. I'm so excited! I've already joined my next bet. Kaci M. , Betsy D. and 6 others like this comment. 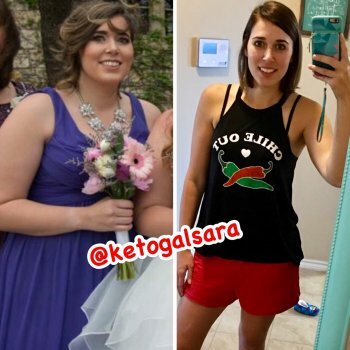 I lost 7.6lbs, I was .2 lbs under the 4% goal weight!!! Woooo!!! Kaci M. , CH and 6 others like this comment. Yay! My weight was accepted. I’m so happy I signed up for this challenge. 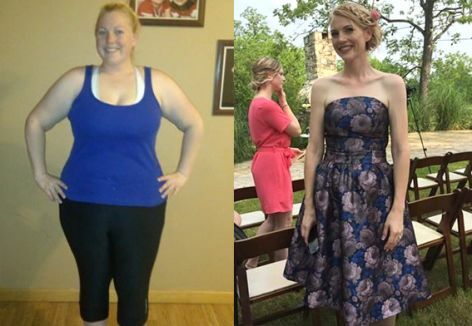 It really kept me motivated and on track with my weight loss journey. Carolina M. , Stephanie M. and 5 others like this comment.